by taking over Google Page 1. 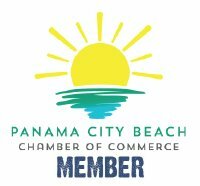 When consumers in Panama City FL are searching Google for places to spend their money – it is crucial that your business be at the top of the list when those results show up! But getting to that #1 spot is more challenging than most people know considering all the SEO Ranking Factors that go into getting there. That’s why you need the services of a competent Search Engine Optimization (SEO) company that can help you with all the details in getting your business to the top of page one. Rank First Media LLC is a part of an International Mastermind Group of SEO Experts. The research and development we do every day keeps us on the pulse of any changes with the Google Algorithm which can wreak havoc on websites managed by lesser experienced SEO consultants. We are a full-service internet marketing and SEO services company offering results you want to see in your business: more clients! We educate and empower our clients so they can create and maintain the kind of internet presence they truly choose to have! We also offer awesome customer service! We Also Have the Most Advanced SEO AUDIT Software available ANYWHERE on the Web Right Now! 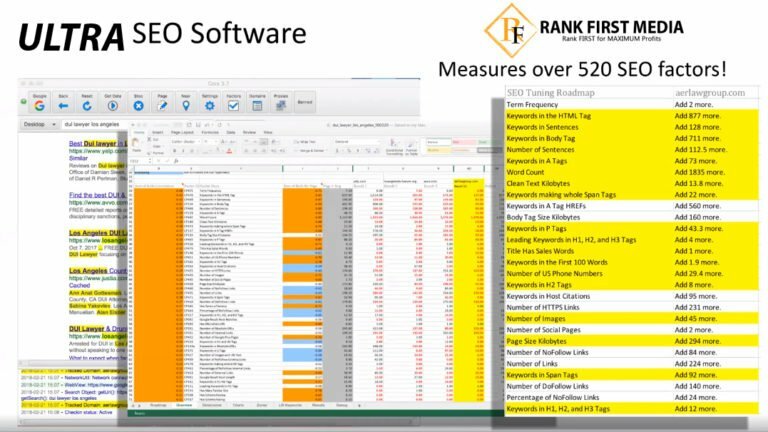 “Deep Dive” SEO Audit Software is like a Google Page 1 Ranking SEO Roadmap Specifically for Your Business and Your Keywords. In just 11 minutes after posting a VIDEO, we again skyrocketed to #1 on GOOGLE Page 1 …AND… STILL, have the #2 spot from the previous day! Just look at these incredible RESULTS! Want to Dominate the Competition? 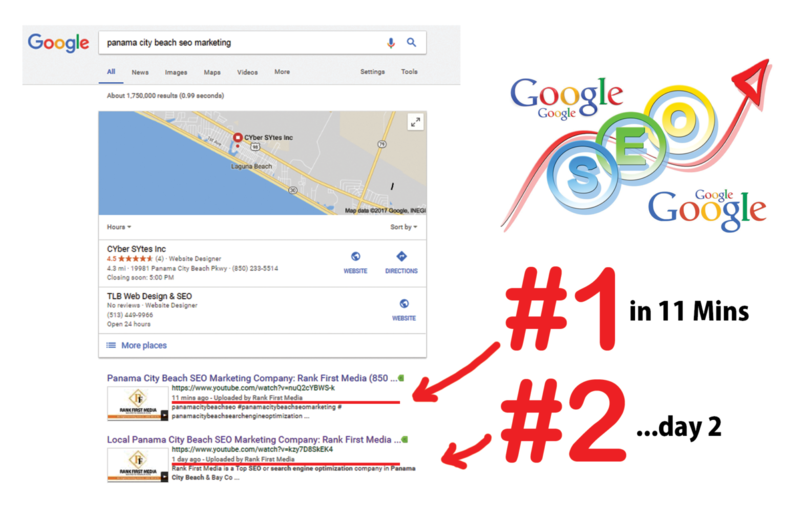 Rank First Media’s Number 1 goal is to get your business to Google Number 1. You would be right when you describe the web as a minefield for the amateur. Knowing how to get to the first page on Google just as big a minefield. With the right company and the right SEO marketing strategies, your business will be on the fast track for MAXIMUM PROFITS. It can be a fine balance between SEO success and Google page 9. Let us here at Rank First Media design a balanced full force attack for your business. So “why do you need to hire” an SEO marketing consultant? 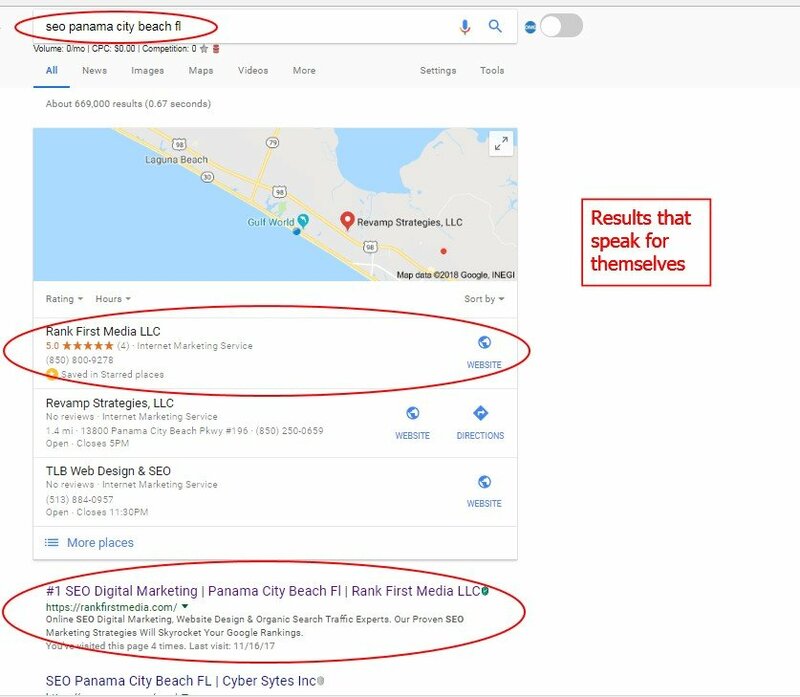 Many business owners are reluctant at first to hire a search marketing professional because they do not really understand the work that is being done. There is nothing hidden or private about what great search marketers do, they follow industry standard best practices just like professionals in any industry do. Some of the tasks that will be done include the technical optimization of your website, registering and optimizing your business in important local directories such as Yelp, registering and optimizing your online presence on sites like Facebook and Twitter. We are ready to get your business the attention it deserves online. To learn more contact us today. Tell us a few things about your business and current online marketing strategies to see how we can help you achieve Maximum Profits! 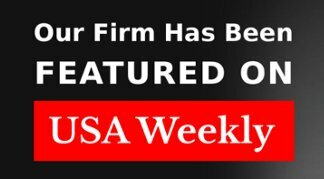 National Ranking: Just contact us we would love to Help Your Business Nationally! Disclaimer: While every effort is taken you rank your business to Google #1, some industries and keywords are harder to rank and take longer than others. These images do not guarantee the rapid results all businesses will achieve. All digital marketing strategies are individually optimized for each business. Rank First Media has been a fantastic asset to our digital marketing strategy. With poorly managed SEO in the past, they were able to turn our website rankings around. Their reporting processes are outstanding. 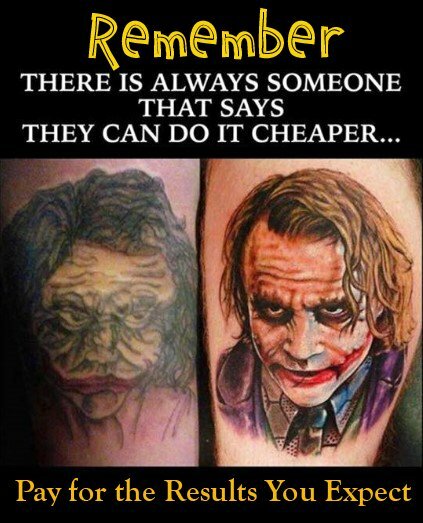 You won't do better. If you need professional SEO or Social Media Marketing for your business then I recommend you hire Lynne. She has supported me with my business to grow both my client base but also my bottom line. If you want the same for your business then Lynne would be perfect. Hire her today!! 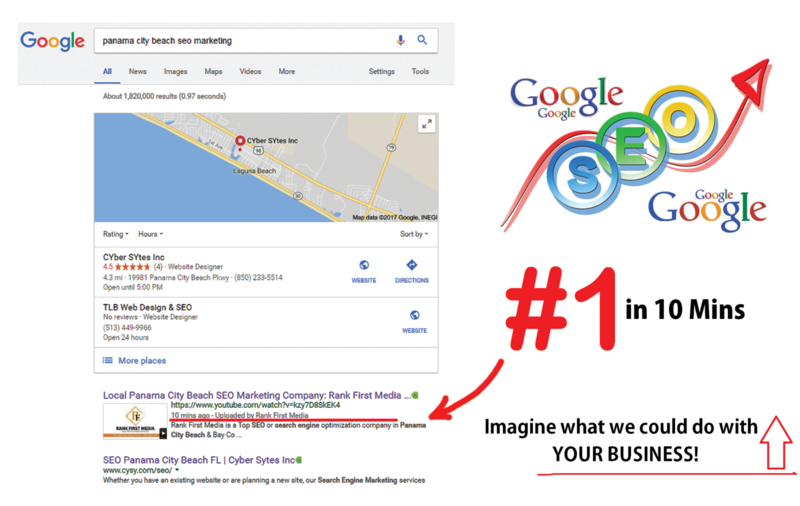 Really I don't think Your Business will find a better company to help you get to Google Page 1. The team at Rank First Media are the real deal. Lynne has the knowledge and insight to get you exactly where you need to go. Don't think about it too long - Your Business and Bottom Line Will Thank You! The time and effort Lynne puts into her clients certainly shows in the results that she has been able to achieve for their websites and businesses. An SEO marketing specialist I would highly recommend. If you need more business don't wait a moment longer. What an absolute pleasure it was to work with Lynne. She is a proven professional in the digital marketing field. 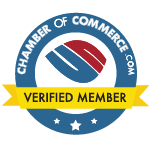 I was truly impressed, she has the experience and knowledge to provide results and achieve the rankings and traffic that businesses are looking for. I look forward to working with Rank First Media again. Lynne is incredibly professional but at the same time listens and cares for her clients. 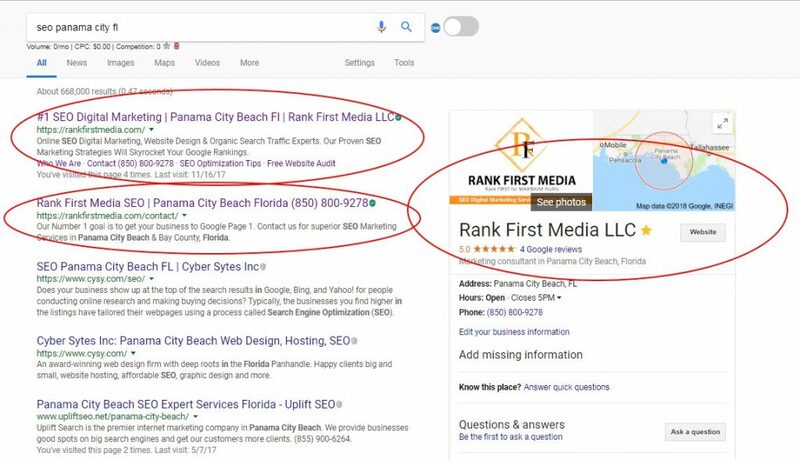 Lynne and her team at Rank First Media are incredibly knowledgeable when it comes to SEO and ranking your business at Google #1. I highly recommend partnering with Lynne as she will deliver you results.